Designed by SB Architects, the Vintage House 80-room renovation entailed the replacement of the old brick façade with board-and-batten exteriors, standing seam roofs, large dormers, and an expansive new trellised entry portico. 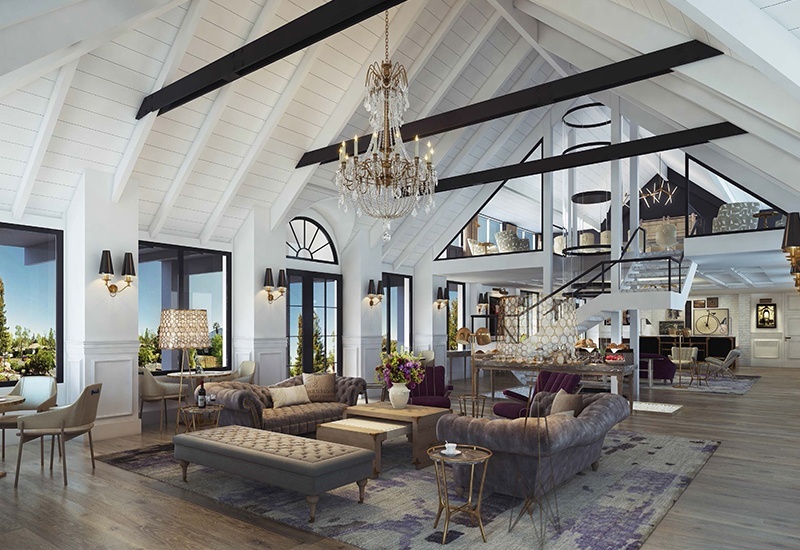 The interior design team of Hirsch Bedner Associates (HBA) created a space that is indicative of a modern farmhouse. The guestrooms have natural elements and materials that are coupled with oversized fireplaces, private balconies or patios, freestanding soaking tubs, and oversized showers. The surrounds required extensive site work including the rework of the main entrance to the hotel lobby, both hardscape and landscape, to create a draw from Washington Street. Just behind the lobby, is a new pool, an elevated spa with waterfall, and surrounding trees and plantings. An updated exterior color scheme was applied to the site's 12 buildings to complement the new lobby building and a highly efficient, quiet VRF HVAC system was integrated throughout the campus. Renovation of an existing and operational resort requires a sharpened sense of planning and team engagement in order to ensure (1) patrons and employees are not negatively impacted by construction activities, (2) the newly renovated site is up to today’s building codes and standards, (3) project requirements for budget and schedule are met. The Vintage House project required open and honest communication among all members. Clear and concise information is critical for developing a thorough project plan that considers all perspectives. If a plan is well thought out, it is more resilient to the unforeseen conditions that can often occur and lead to schedule delays and budget overruns. Centric planned the work and executed the project plan by facilitating weekly owner/architect/contractor (O/A/C) meetings to resolve critical items in an open forum with the owner and management staff. 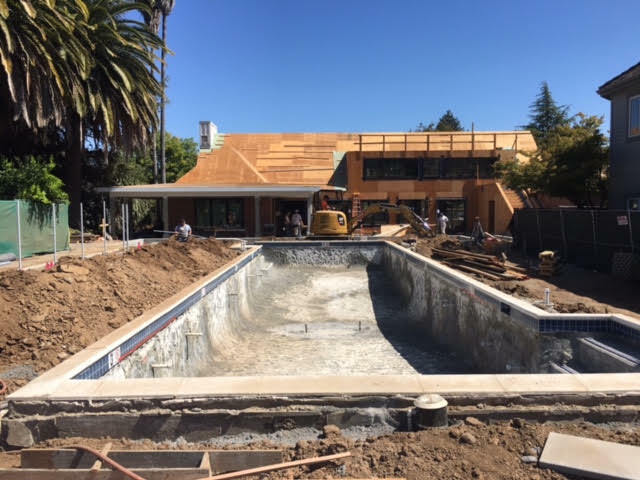 The Vintage House team was rock solid and, while we did face the challenges of unforeseen site conditions, we quickly overcame these issues and the project was a success. The most telling indicator of our team's success was our collective ability maintain operations while under construction that would result in the highest revenue generation during a spring/summer season in the history for the Vintage Estate property. A critical component of any operational resort renovation is mitigating hazards and noise for the patrons and staff. 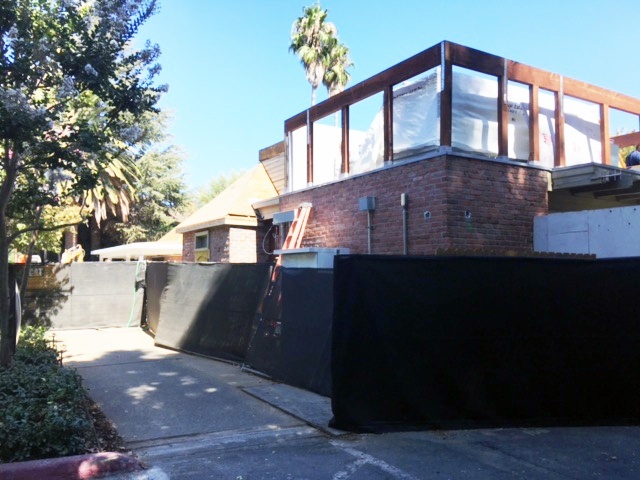 The Vintage House required intensive renovation oversight, making absolutely sure construction activities did not jeopardize business operations with a sense of fiscal discipline. Our team became very familiar with the inner workings of the hotel and its management staff, which allowed us to develop a logistics and sequencing plan heavily focused on safety and noise and dust mitigation. With the renovation of any site, there is the opportunity for unforeseen conditions. The Vintage House was no exception. Site excavation revealed numerous unknown underground utilities including old gas lines and unknown underground electrical lines, neither of which were indicated on any historical maps/plans or dig alert notifications. Utilities needed to be reconfigured to meet today’s building codes. Like most projects, The Vintage House gained ground through value engineering. The process of value engineering provided viable options for reducing overall project costs, shortening the schedule and/or improving overall quality. We were delighted to see a number of our options were adopted. Ultimately, the Vintage Estate project was a rewarding experience. 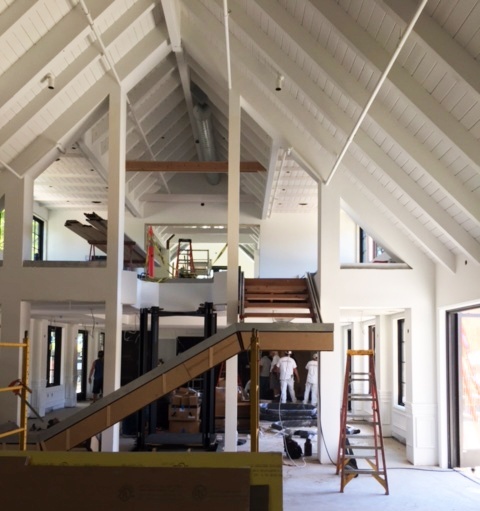 We are proud to be a part of the changing face of Yountville. Professionally, it was an extreme pleasure to work with a professional team equally as interested in the project’s success.